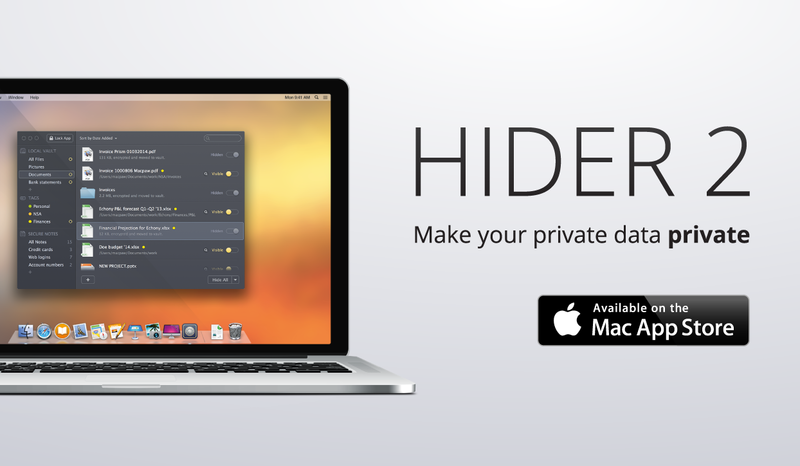 Hider 2 is an app that lets you hide and encrypt private data on your Mac. You can now confidently encrypt and password protect anything you deem confidential. And with features like custom grouping, global shortcut keys, menu bar access, and Mavericks tags compatibility, keeping track of hidden files is a piece of cake. Hider 2 is safe, secure, and incredibly easy to use. Hider 2 is password protected. No one can use the app or see what you’ve hidden inside without your password. When you hide any file with Hider 2, it is automatically AES-256 encrypted, making your data ultra-safe. You can now hide and encrypt their data onto an external drive, giving you an extra layer of security. Hider 2 lets you create your own custom groups to help you keep things organized and categorized within the app. You can choose to hide entire folders instead of selecting tons of individual files for hiding and encryption. Hider 2 places an icon in your menu bar to give you easy access to your most recently hidden files and to the to app itself. Global shortcut keys now let you instantly hide your data (Ctrl+Cmd+H) and instantly lock the app itself (Ctrl+Cmd+L). 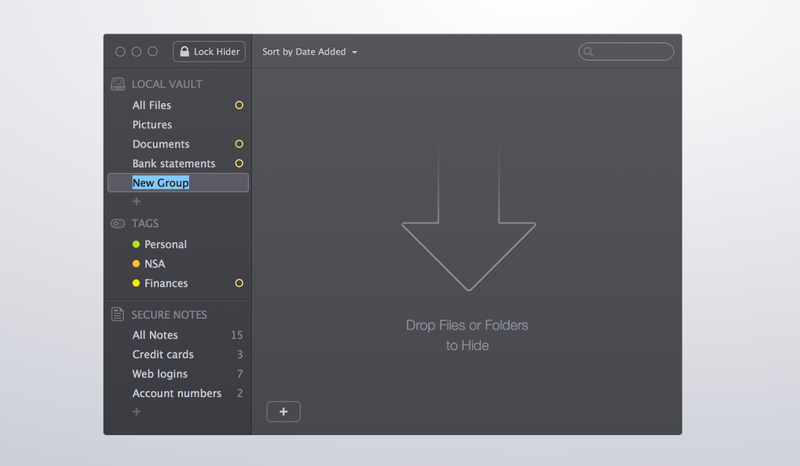 Hider 2 is Mavericks tags compatible, making filing and sorting hidden data simple. Preview files in Hider 2 before you hide them to prevent mix ups with Hider 2’s Quick Look preview mode. Hider 2 has in-app notetaking, called Secure Notes, for quickly jotting down short blurbs of confidential info. Hider 2 requires Mac OS X 10.8+ and 30MB of free disk space. Note: You should note that even though Hider 2 only requires 30MB for installation, you also need an amount of free space equal to the file you wish to hide. For example, if you wish to hide a file that is 1GB in size, you must have 1GB of free space to encrypt and hide the file. The app will not permanently occupy this free space, it is only temporarily necessary for the encryption function. Hider 2 costs $19.99. Get it right now on the Mac App Store.